This mens ring was hand made by Ferro Jewelers in 18K yellow gold. 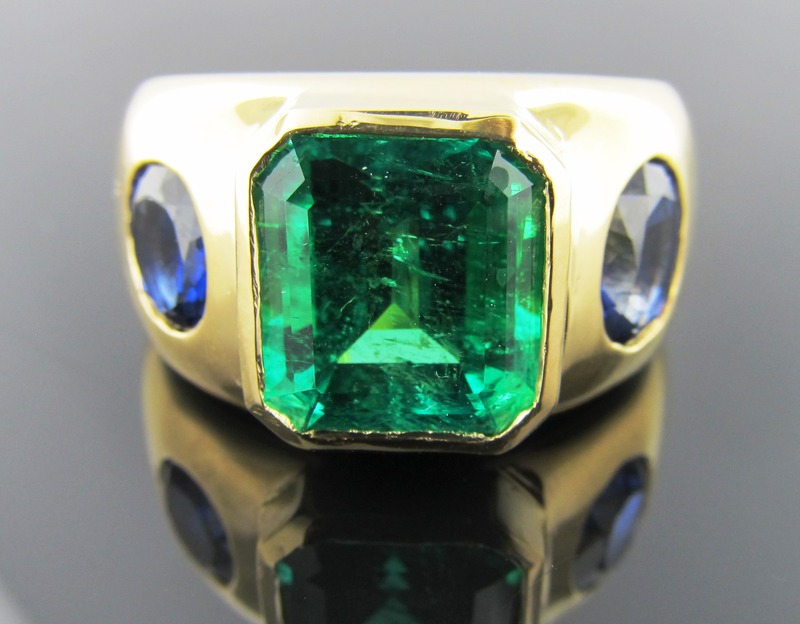 It features a genuine emerald measuring 10mm x 11mm and two genuine blue oval sapphires. 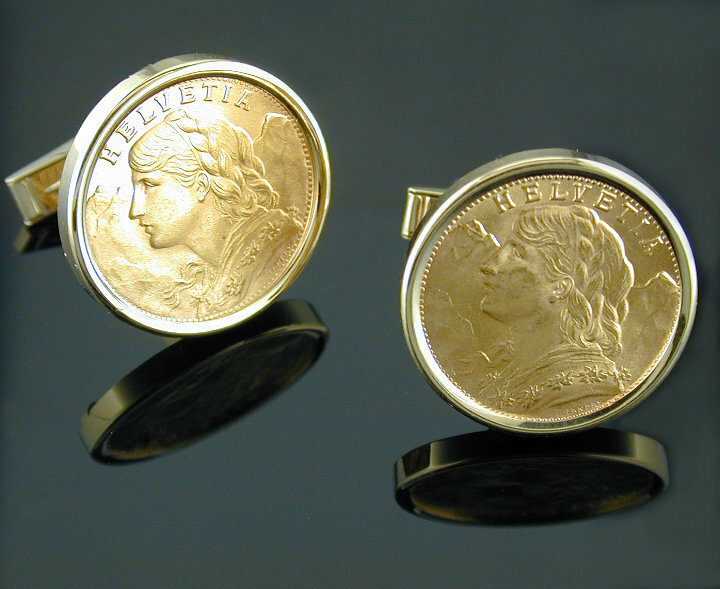 Ferro Jewelers custom made solid 14K yellow cuff link frames and backs for these 1927 Swiss 20 Francs Gold coins. Customer supplied coins so pricing reflects custom frames and backs only. 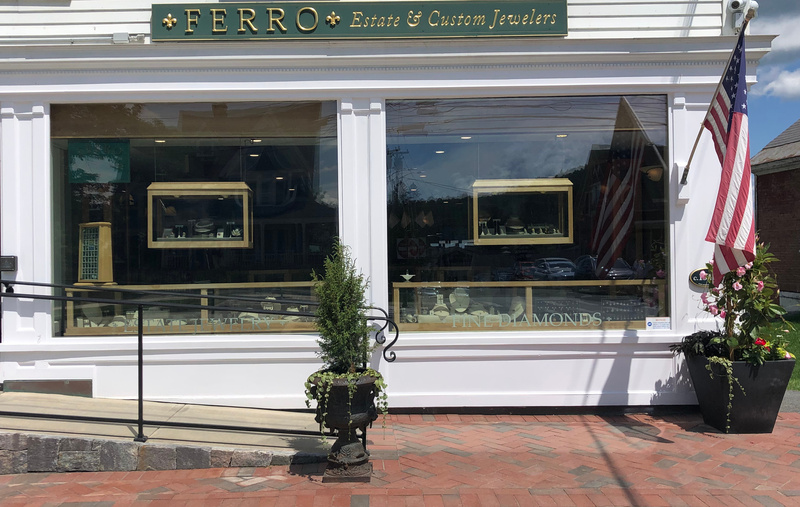 Ferro Jewelers can also supply antique coins. 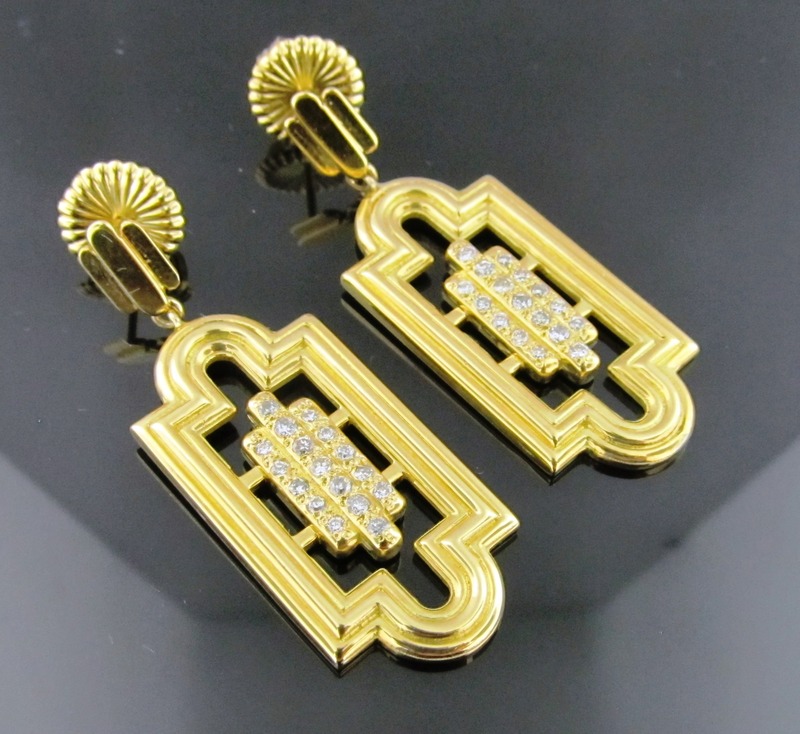 Make a statement in these custom designed Byzantine earrings. Feminine and sophisticated, this clever design is the perfect upgrade to the classic diamond studs. This ring was custom made by Ferro Jewelers. 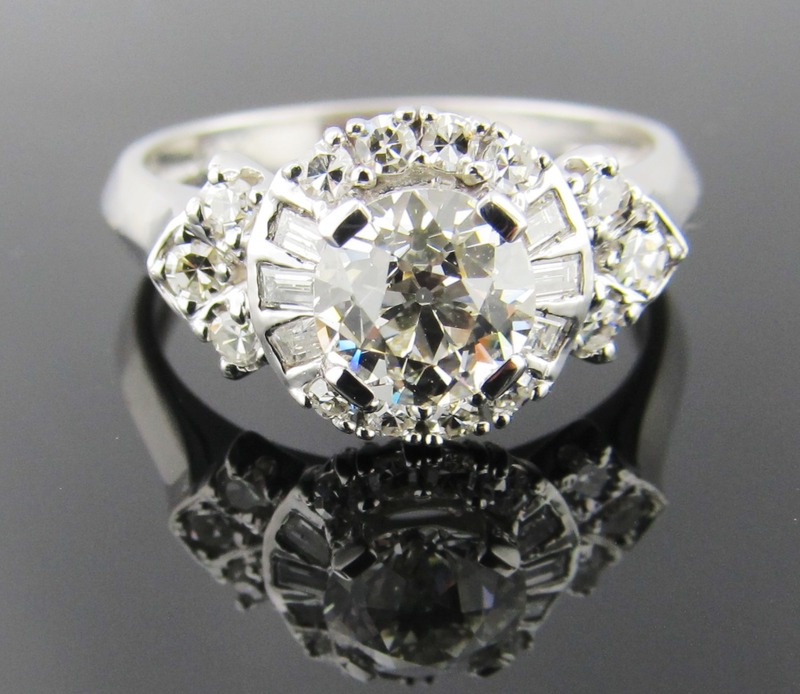 It features a center round brilliant cut diamond weighing 1.34ct. and 1.13ctw. of princess cut diamonds in the mounting. Diamonds, diamonds, and more diamonds! Add a little vibrant blue for a flash of color. Now watch all eyes focus on you and this fantastic little gem of a ring! 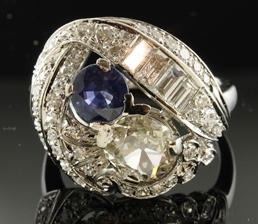 This platinum setting holds a mixture of a .83ct antique cushion cut diamond, a .94ct round cut sapphire, and .88cttw of baguette and round cut accent diamonds. Encrusted with over 2,300 diamonds weighing approximately 35.00ctw., this oval link necklace features 84 links (42 large, 42 small) in sterling silver. The chain is oxidized and measures 24" in length. It was custom made by Ferro Jewelers. 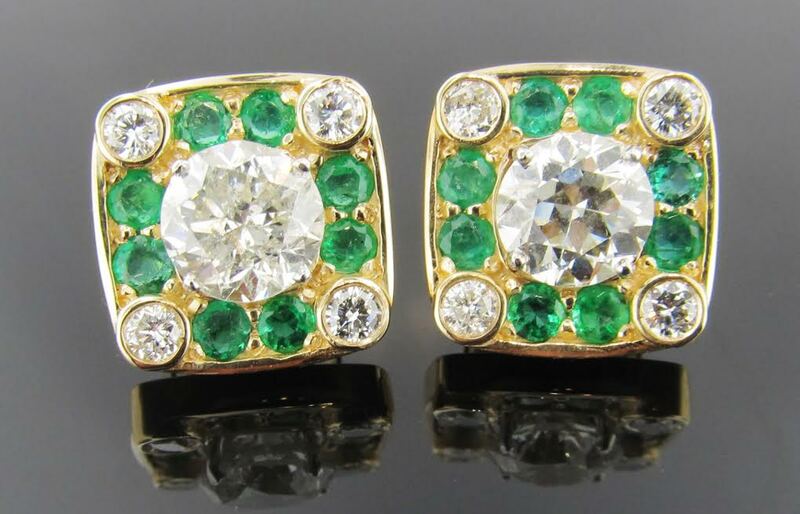 Handmade in 18K yellow gold and designed for one of Ferro Jewelers' most loved customers, these emerald and diamond earring jackets perfectly fit around approx. 1.00ctw. 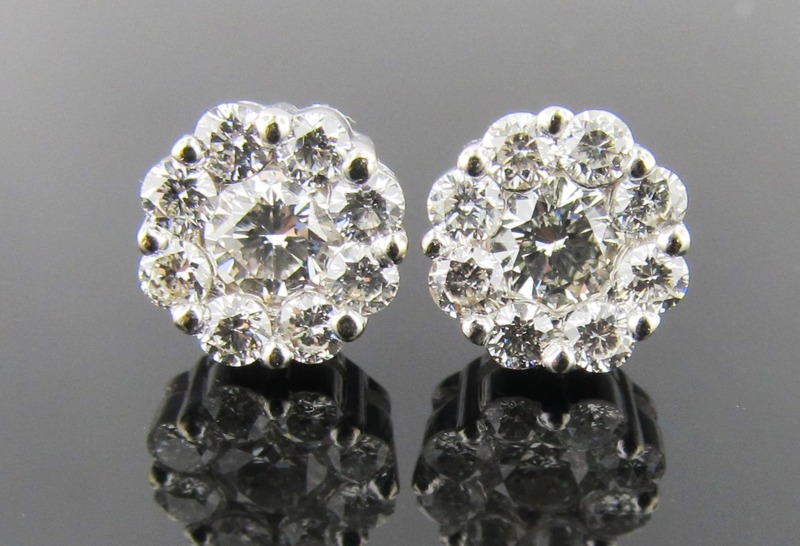 modern brilliant cut diamond stud earrings. They also look great with emerald or white topaz stud earrings! This 14K white gold ring features a 0.75ct GIA certified Old European Cut diamond with J color and VS1 clarity. Fans of baguette diamonds flank the center stone while smaller round brilliant cut diamonds adds sparkle and brilliance to this glowing halo diamond engagement ring. 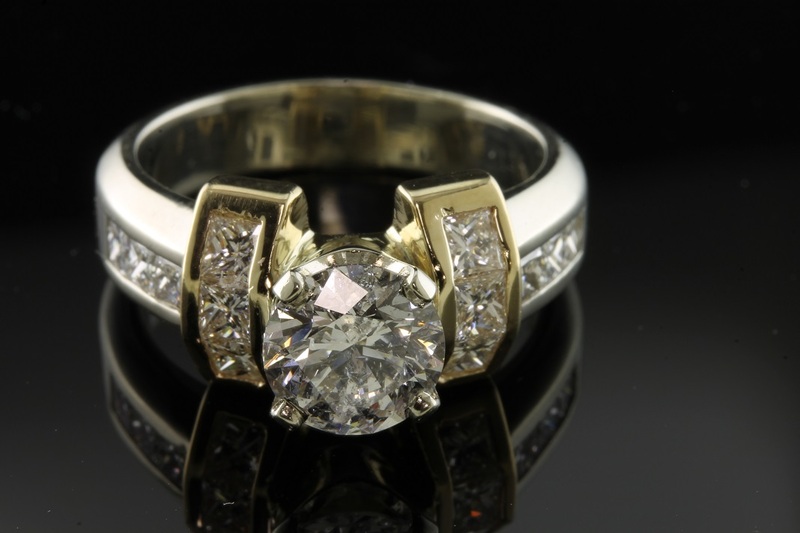 This is octagonal diamond ring was inspired by an estate piece with the octagonal design. 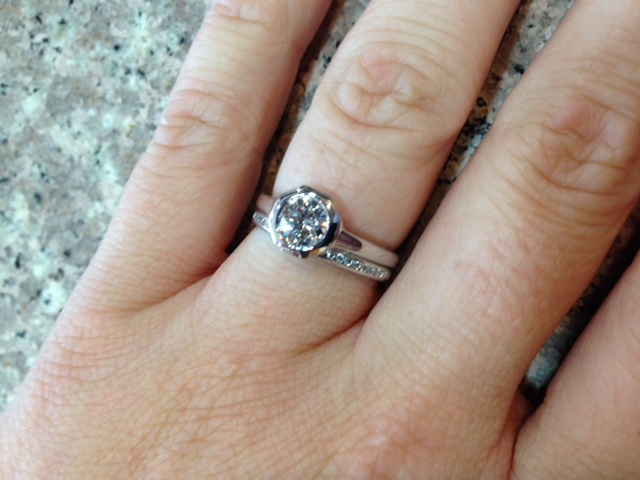 Our customer simplified the design for their .71ct. diamond. 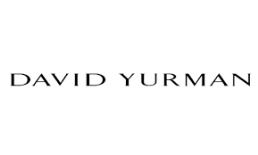 The mounting is 14k white gold. The poetry of the carved walls of the legendary Alhambra Palace inspired the endlessly intricate knot motifs of these bands. 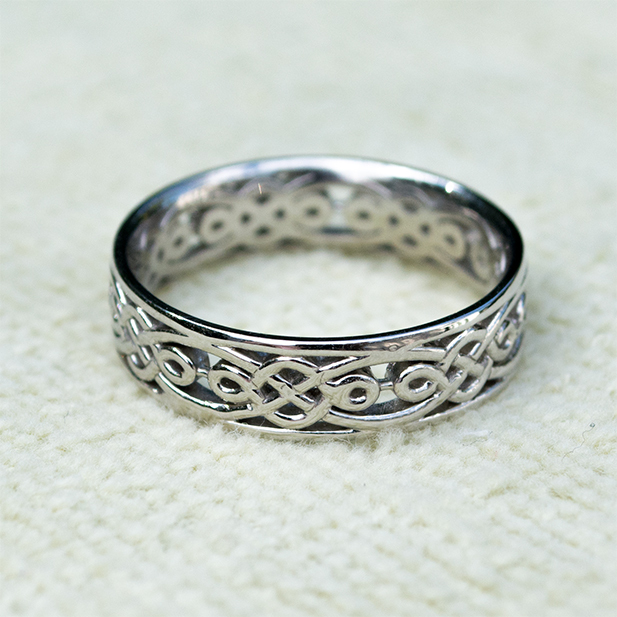 Both cast in platinum, these matching Celtic designs celebrate a couple's marriage to each other. 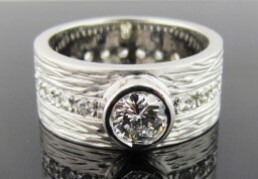 This beautiful designed and crafted ring was a request of a local building designer. The 7mm wide gold band was textured to resemble tree bark of Vermont's own native maples. The diamonds are artistically set in the design to encircle the finger and highlight the center stone. The main focus of the ring is a tastefully bezel set center, perfect for an active lifestyle. Vermont understated elegance at its best.